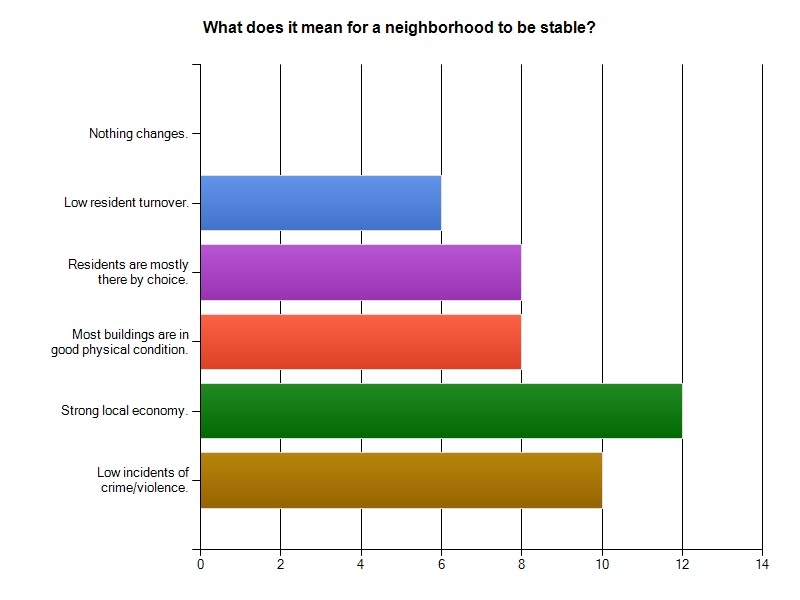 What should be the focus of a neighborhood stabilization program? It's an ongoing topic of conversation within community development organizations when deciding where efforts should be focused for the betterment of a neighborhood. Just as the residents themselves are complex, so must be the answer to go about creating a stable place for them to live. It's not too late to add your opinion. Click here to take the survey or leave a comment below!